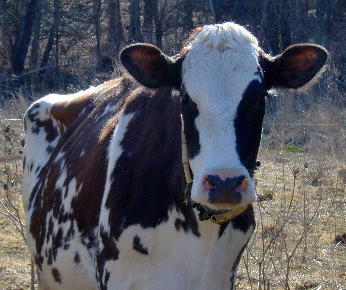 We produce, harvest, and sell grass-fed raw milk in the spirit of organic principles. At Oake Knoll, we pay exceptional attention to detail, food safety, and cow comfort. We harvest the milk in a sanitary way, using clean sanitized equipment.The warm milk is bottled in half gallon jugs and immediately cooled.The faster milk cools, the longer it will stay fresh and delicious.The milk is then brought to the front of the farm and put in glass front coolers where raw milk drinkers pick it up. Terri graduated from Purdue University with a double major in Animal Agri-business and Agricultural Communications in 2002. After a years service with the Americorps *Vista program, Terri became a state Dairy inspector. While with the state she learned about the raw milk movement. She visited many raw milk retailers in all stages of the licensing process. Specializing in food safety and sanitation in the dairy industry helped Terri become an expert in the field. Terri used the information she learned as a FDA certified Dairy Inspector to develope a raw milk program that exceeds all legal food safety requirements.